Superior Performance: Delivers up to 480 N/M of maximum fastening torque. You can easily remove the nut and change tire by pressing the switch for about 5 seconds. 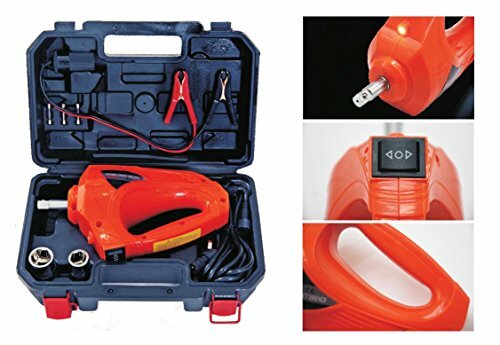 Lightweight and Portable: Lightweight design makes it a perfect electric wrench for saving your strength. Removing nut becomes an easy job for both men and women. Two-way Power Supply: It can be connected to either a 12 V outlet or car battery, two connector choices make it a necessary car repair tool when run into roadside emergencies. Double Sockets: 0.67"/0.75" and 0.83"/0.91" , suitable for both nut sizes. If you have any questions about this product by atliprime, contact us by completing and submitting the form below. If you are looking for a specif part number, please include it with your message.